Yazoo Avenue in the 1950s was the center of Clarksdale’s bustling downtown. 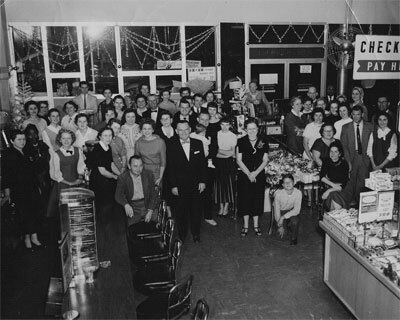 Employees inside the new, modern Woolworth’s building in the mid 1950s. agreed that the youth didn’t have enough experience, planning or resources to properly conduct a sit-in. A group of youths held a “shopping tour,” and while at Woolworth’s, their appearance drew comments, stares and, eventually, police attention. 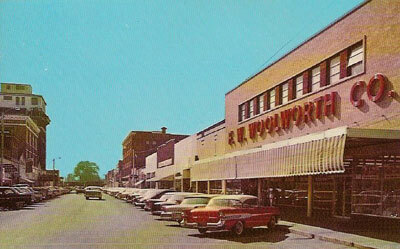 By late 1963, the Clarksdale Woolworth’s had shut down its lunch counter, rather than integrate.